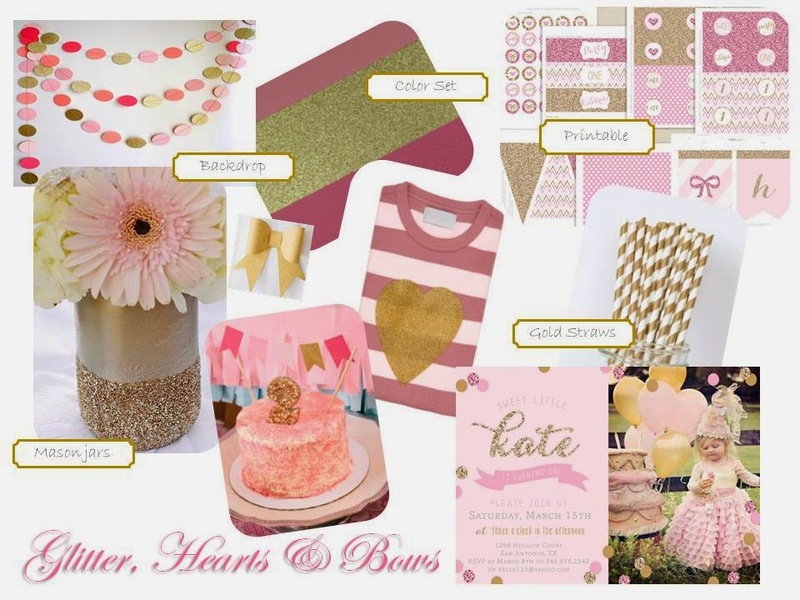 Featuring another party inspiration board today, this one is "Glitter, Hearts & Bows". I just love the feminine colors of this one topped with a little sparkle & shine. 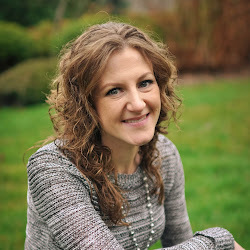 Let me know if you have any questions or feedback, I would love to hear it! The invitation sets the theme and a great printable party set is always an easy way to incorporate the theme throughout your party. This particular set offers several items; bottle wrappers, cupcake toppers, banners, thank yous, etc... Use the craft paper and make large paper bows to attach to the gold straws. You could use the straws as cupcake toppers, by cutting them in half, or set out for drinks. The circle garland would be a great backdrop to any sweets table. As center stage on the table an adorable pink glitter cake elevated above the other sweets that catch your eye and match the theme. Add flower arrangements in gold glitter mason jars at varying heights around the table. Of course no birthday party is complete without the birthday girl having something special to wear. This adorable striped shirt with a gold glitter heart fits this theme perfectly, add a cute skirt and your birthday girl will be ready to enjoy her special day! I am excited to start planning additional party inspiration boards, I hope you all are enjoying them. There will be more to come!